Have you ever wondered what it's like to walk or run on the moon? 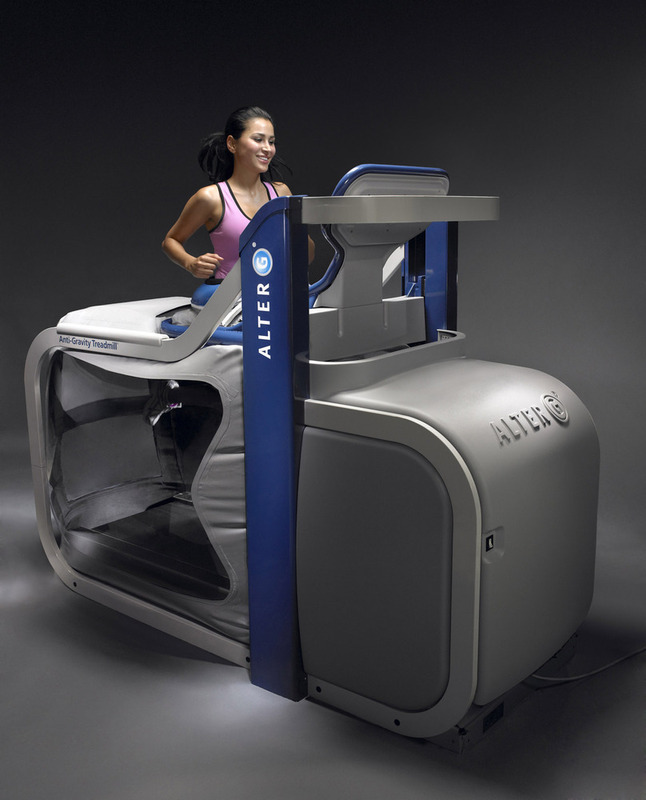 Well, the AlterG zero gravity treadmill will give you a pretty good idea - and you only need to travel as far as your friendly, neighbourhood fitness centre to enjoy the experience. 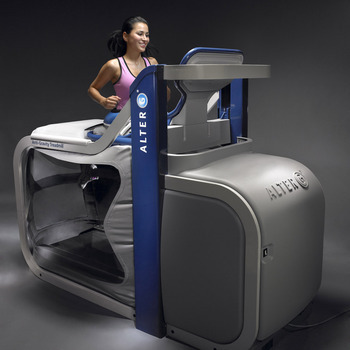 For anyone who is looking for some gentle, low impact exercise after surgery or while recovering from an injury, the AlterG offers the opportunity to include closed kinetic chain functional rehabilitation earlier than ever before. Precise unweighting allows you to walk or run with between 20 and 100 per cent of your body weight. It's fun and easy to use and there's much less impact on the joints and muscles during exercise. This revolutionary rehabilitation treadmill also provides "prehab" conditioning with significantly reduced pain. 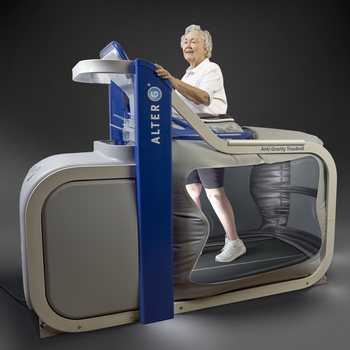 Patients who try the zero gravity treadmill love the freedom it gives them to make a gradual comeback into the world of gentle exercise. It's a well-established fact that the body heals better and faster with a structured therapy and exercise programme. However, the full weight of the body can literally be too much to bear for hips, legs and ankles that are still on the road to recovery. 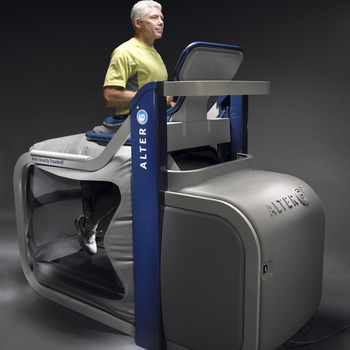 Quickly return to functional activities such as walking and running. 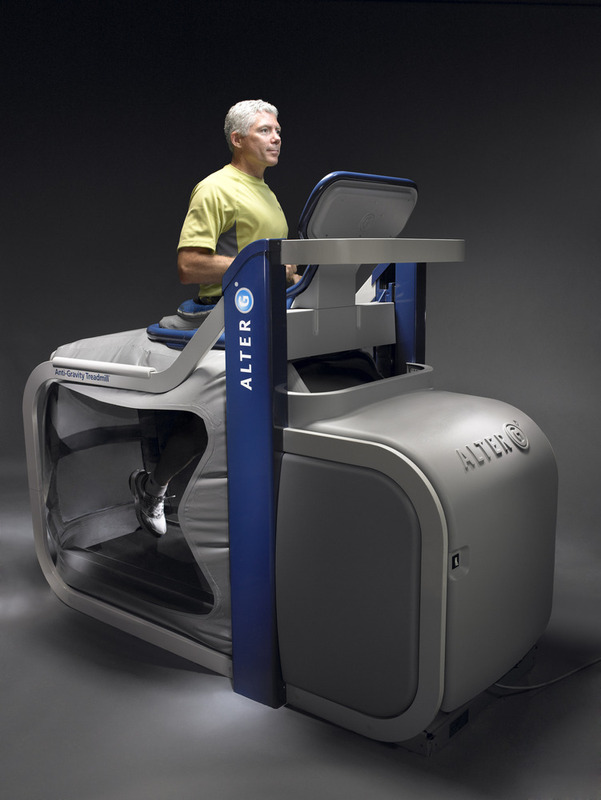 Normalize gait mechanics while still protecting healing tissue with its unloading technology. Resume aerobic conditioning while reducing the risk of causing stress to an injury. This fantastic machine can be used at an unbelievable £12 for 30 minutes or just £15 for a full hour. Yes, that's £12 for 30 minutes or just £15 for an hour! Don't delay, call the Next Step reception on 0117 9560 323.